Visit Metolius's Monster Dynamic 9.8mm page. 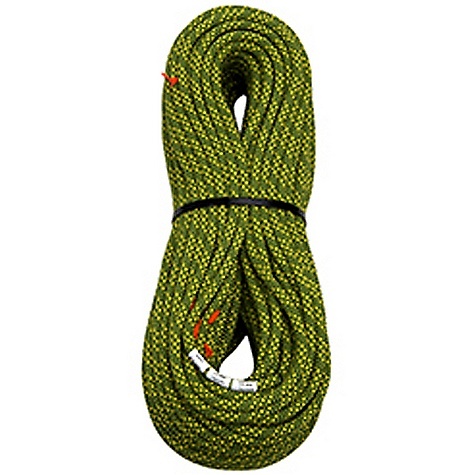 Metolius Climb Monster 9.8 mm Rope-Orange/Green-60 m RNON98604. 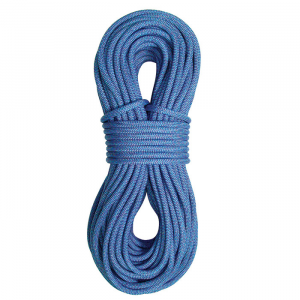 8 safe hard-wearing rope aimed at performance-oriented weight-conscious rock climbers. Uses: sport & trad climbing hard redpoints onsights free walls alpine rock. 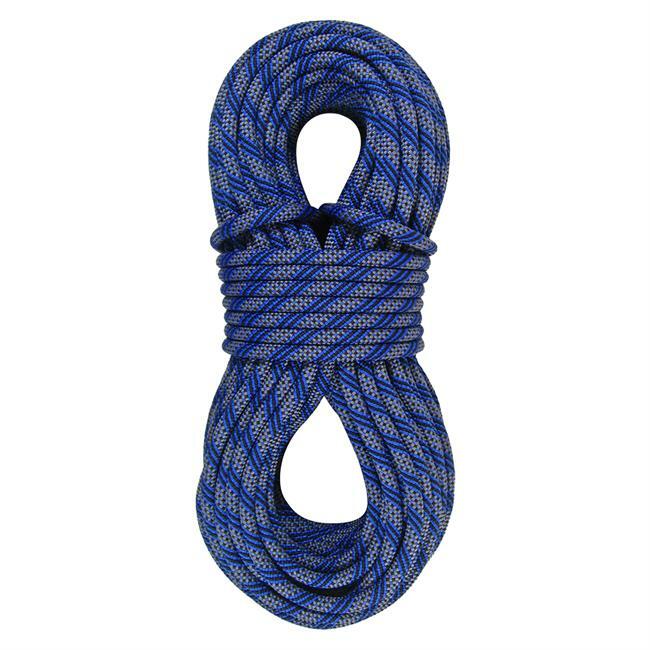 The Metolius Monster 9.8 is a smooth-running easy-clipping very compact rope with a super-durable long-lasting construction. Not too skinny, not too fat, the Metolius Monster 9. 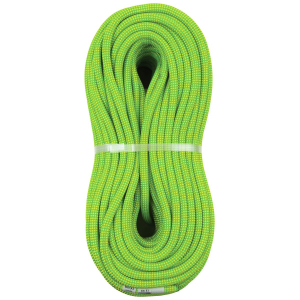 8mm Dry Climbing Rope gives you a safe, durable life line for everything from single-pitch cragging to alpine epics. The bright orange Monster middle markers let you know when you're leader's half way through his pitch and aids in identifying the middle of the rope while setting up for rappels. Smooth handling, easy clipping, and a light, compact construction make the Monster a cord you can depend on to handle several seasons of dedicated abuse. 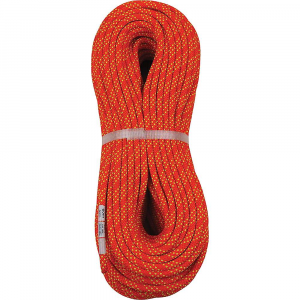 Metolius Monster 9.8 mm Dynamic Rock Climbing Rope - The Monster 9.8 mm Dynamic Climbing Rope by Metolius is a safe, hard-wearing rope aimed at performance-oriented, weight-conscious rock climbers. Used for sport and trad climbing, hard redpoints, onsights, free walls and alpine rock. 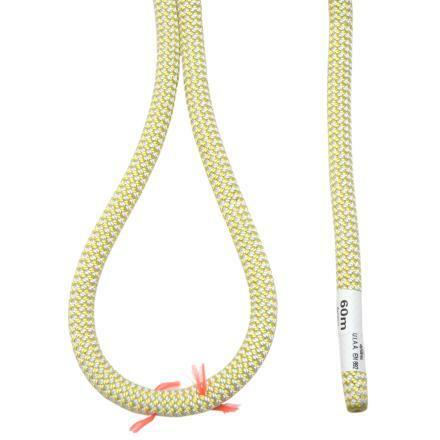 The Monster 9.8 is a smooth-running, easy-clipping, very compact rope with super-durable, long-lasting construction. If choosing the right climbing rope has left you hanging, check out the Monster 9.8 mm Dynamic Climbing Rope by Metolius.